Tankah and Paraiso Tankah is a low-density, romantic development featuring a stretch of beach where sea turtles nest every year. Dive shops, three hotels and restaurants, as well as numerous private seaside luxury villas. The outstanding snorkeling is highlighted by a huge ojo de mar (eye of the sea), where a fresh water, underground river empties into the bay, named Cenote Manatee. A cenote, or fresh water sinkhole, can be found on the jungle side of the road opposite this formation, and should not be missed by the snorkeler or person in pursuit of a refreshing dip. Divers actually dive under the beach road and surface in the Caribbean. 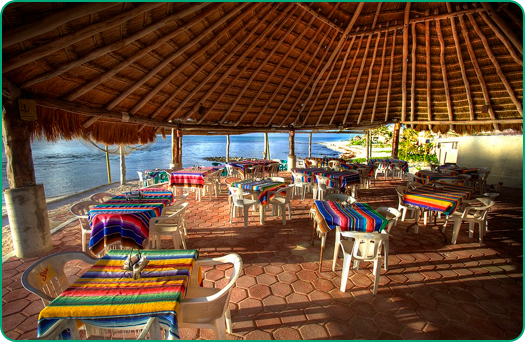 If you would like to stay a few nights to explore the cenote and just unwind with good food, ocean breezes and margaritas, check out Casa Cenote. Don't miss the Texas BBQ on Sundays! For gourmet dinning or to take home an authentic brick oven pizza go to Blue Sky. Take a glass of wine and walk out to the beach to watch for turtles while they prepare your pizza. Presented by: Akumal Investments Real Estate Services in the Riviera Maya. Tankah, Bahia Principe, Tulum and Sian Ka’an real estate needs.